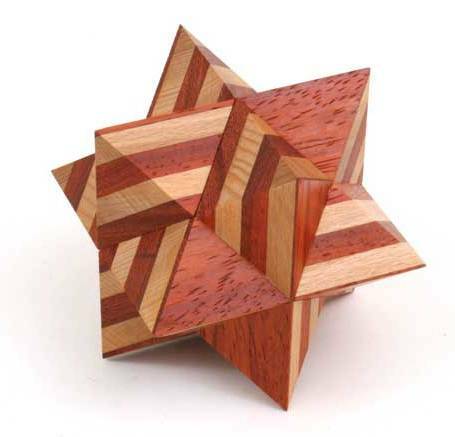 This is the first puzzle modification/design by Scott - but really a straightforward modification of the Cornucopia puzzle designed by Stewart Coffin. 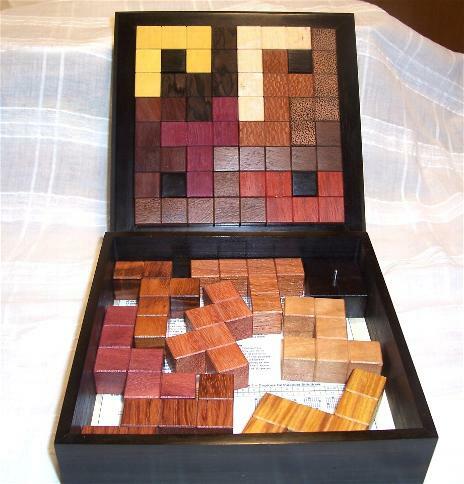 Years ago Stewart made 2-sided trays for the Cornucopia puzzles (single different fixed board arrangement each side), and 10 of the 17 possible pieces came with the puzzle. However, there are 10 possible board arrangements. 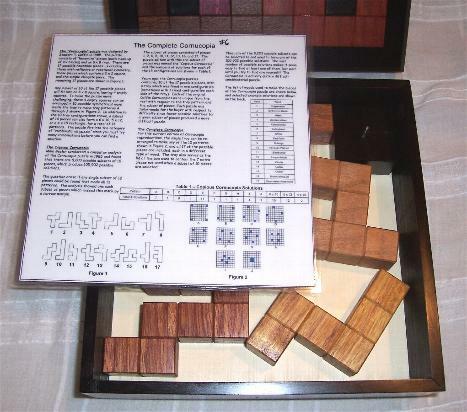 The Complete Cornucopia is a version that makes all 10 board arrangements possible with a single tray, and all 17 possible pieces are included. Each piece is made from a different type of colorful exotic wood. 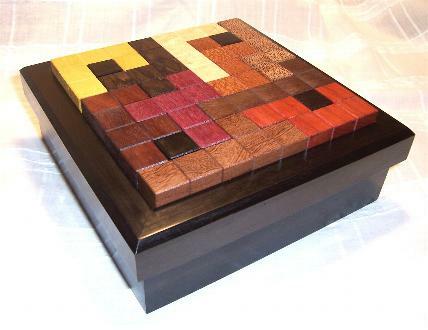 The copy below features a Gabon Ebony tray (lid) and box used to contain the 7 extra pieces.